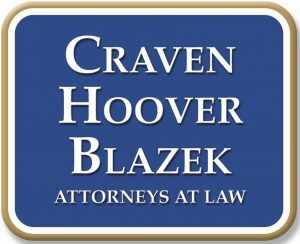 Construction Accidents, Injuries, and Lawsuits | Craven, Hoover, & Blazek P.C. According to the Occupational Safety and Health Administration (OSHA), nearly one and five workplace fatalities that took place in 2010 were caused by construction site accidents or occurred within the construction industry. In fact, there are four principle fatalities that the OSHA has called the “fatal four” in the construction industry. They include falls, getting stuck or caught in-between equipment, being struck by an object, or electrocution. If these four common causes of construction site injuries and wrongful deaths were somehow eradicated, it could save over 350 lives each year. It is important for employers and companies to do their best with proper safety training and preventative maintenance in order to provide a safer workplace environment for construction workers and staff. If an injury does occur, the victim has the right to pursue a personal injury lawsuit to recover compensation for their damages. Continue reading to learn how these “fatal four” accidents can potentially be evaded, and the facts surrounding these kinds of personal injury cases. One of the most frightening accidents that can happen to a construction worker is falling from a high locale. This is a common threat due to the use of scaffolding, ladders, roof-work, crane-work, slips, trips, and more. Nearly 40% of all construction staff deaths each year are caused from falls. Scaffolding can collapse, and workers can lose their balance from high above. Poor quality equipment, slippery surfaces, unprotected edges, incomplete or unstable flooring, holes in floors, misuse of ladders are all common culprits behind falling accidents. Unfortunately, most construction site fall accidents are fatal; or they cause permanent paralysis or brain injuries. Electrocutions are also a common cause of death at a construction site. Damaged connections, exposed wires, and more can all cause a fatal surge of electricity to anyone. In fact, a surge from as little as 20 milliamps can be fatal. Almost ten percent of construction deaths are caused by electrocutions. And if death does not occur, severe third and fourth degree burns commonly leave victims with prolonged pain, discomfort, and disfigurement. Being hit by a heavy object accounts for nearly eight percent of construction site deaths each year. Heavy machinery, construction equipment, and falling objects are the most frequent causes of death when it comes to being struck by something. Many things are moved with the use of cranes, forklifts, bulldozers, and more; so sometimes, things go wrong and negligence can cause a fatal accident. Something as insignificant as a wrench that falls from a 400 foot scaffold can cause death to anyone it strikes. Bricks, tools, lunch boxes, and even cell phones can all be deadly hazards depending on where they fall from and the force they have when coming in contact with a person. Lastly, getting caught or stuck in between is another gut-wrenching and fatal accident that can happen at a construction lot. Rotating equipment, rigging, equipment maintenance, trash crushers, and more can all cause a person severe injury or death if caught underneath or in between. All construction companies and contractors are responsible for setting forth proper safety training and education to protect their employees and prevent such accidents from happening. If a person is crushed, ran over, or killed as a result of being stuck or caught in between, various safety regulations are violated and the company owners are held accountable. This is where a personal injury or wrongful death lawsuits can help. If a person is severely injured on the job, they have a right to pursue a lawsuit against the negligent parties and be entitled to remuneration for their damages. If a person is killed as a result of a company’s negligence, the victim’s family has a legal right to pursue compensation through a personal injury wrongful death lawsuit. 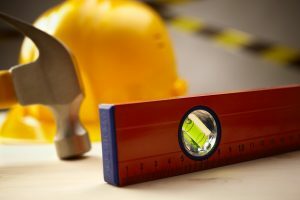 It is important to hire a licensed and reputable Indianapolis Construction Site Accident attorney for effective representation. with a licensed personal injury attorney, today. This entry was posted in Construciton Site Accidents, Personal Injury and tagged Construciton Site Accidents, construction site accident lawsuits, Construction Site Fatalities, Indianapolis Personal Injury Attorneys, workers compensation lawsuit, workplace injuries, wrongful death lawyer. Bookmark the permalink.